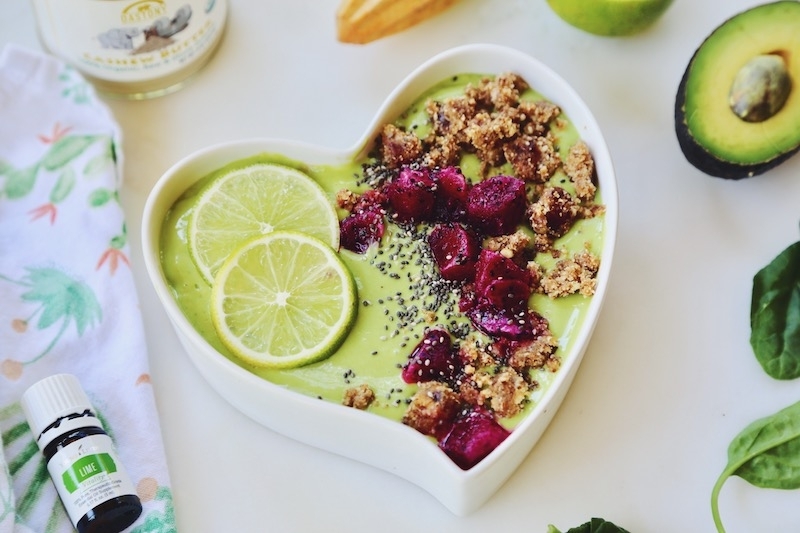 We have the absolute perfect recipe for the occasion: a healthy, refreshing smoothie bowl inspired by one of our favorite summery desserts: key lime pie. Served in a Breakfast Criminals Heart Bowl no less. 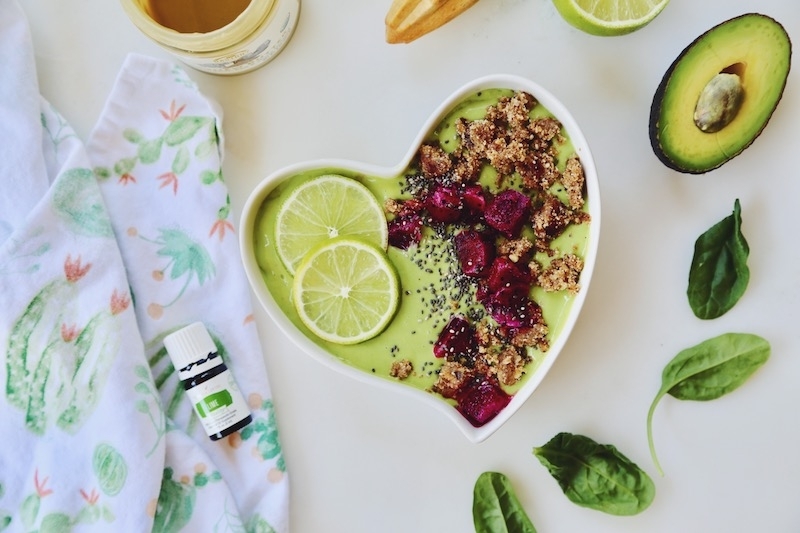 If you love traditional key lime pie, healthified versions of sugary favorites, and delicious smoothie bowls, this recipe will not disappoint. It's thick and ultra creamy thanks to a combination of luscious raw cashew butter, fresh avocado, and probiotic-rich coconut yogurt. The flavor combo is perfection: vanilla and lime (of course) with a hint of mango and pineapple. What about the crust you say? All "pies" have crusts, right? We've created a delectable almond and vanilla crumble to go on top that tastes a little like graham crackers thanks to the addition of maca – an energizing, adaptogenic superfood from Peru with a sweet, malty flavor. So, even if you didn't make it to Fiji this summer, don't despair. 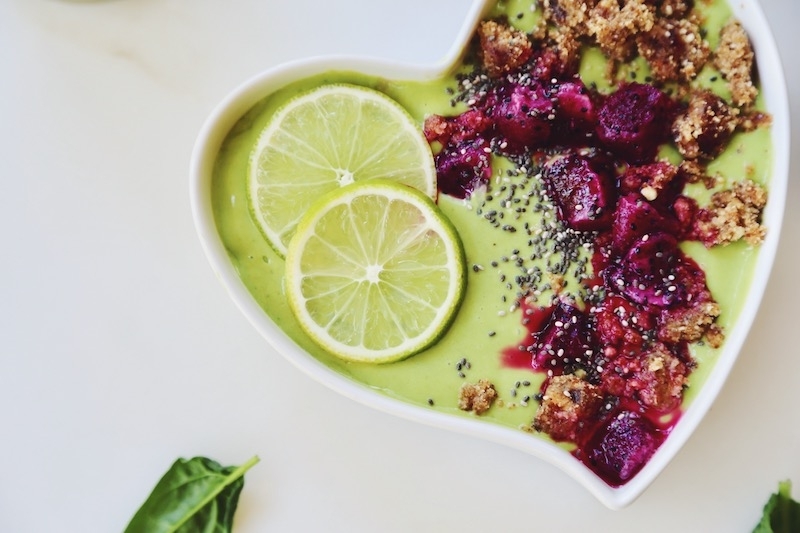 You'll at least have a few minutes of tropical bliss while you enjoy this smoothie bowl on your holiday weekend. 1. Place coyo in the blender carafe first (this will act as your "liquid" for the smoothie) then add all remaining ingredients and blend until smooth. Add a splash of water if needed, but not too much as it will thin out the ultra-creamy pie-like texture. 1. place almond flour and almonds in blender or food processor first, then remaining ingredients, and process until chunky and sticky. You want to mixture well blended but for there to still be a nice amount of texture. It should stick together when squeezed.